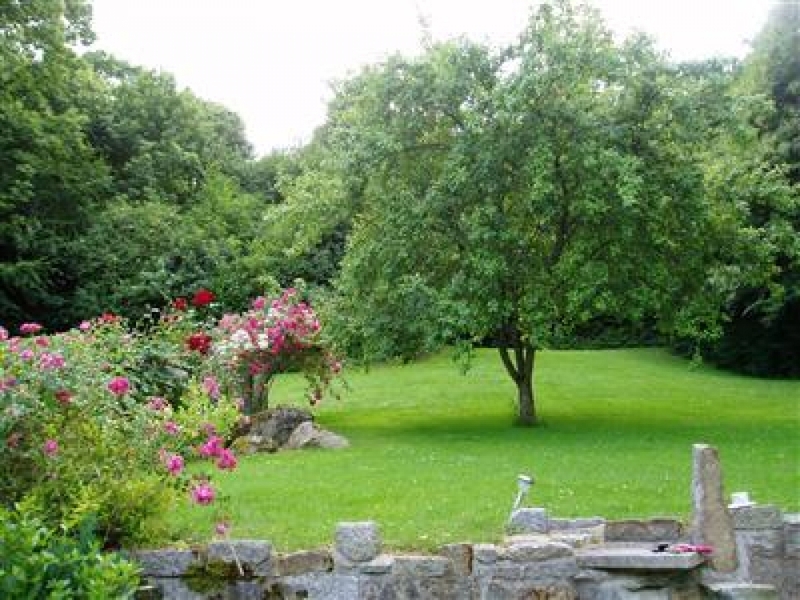 Two houses available separately sleep up to 14 with extensive garden and woodland area. 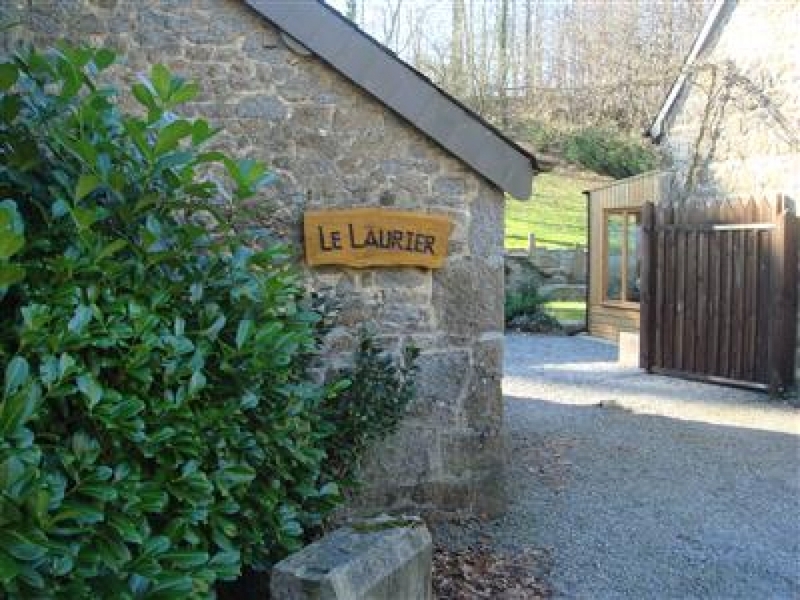 This property consists of 2 converted traditional stone French farmhouses and outbuildings. 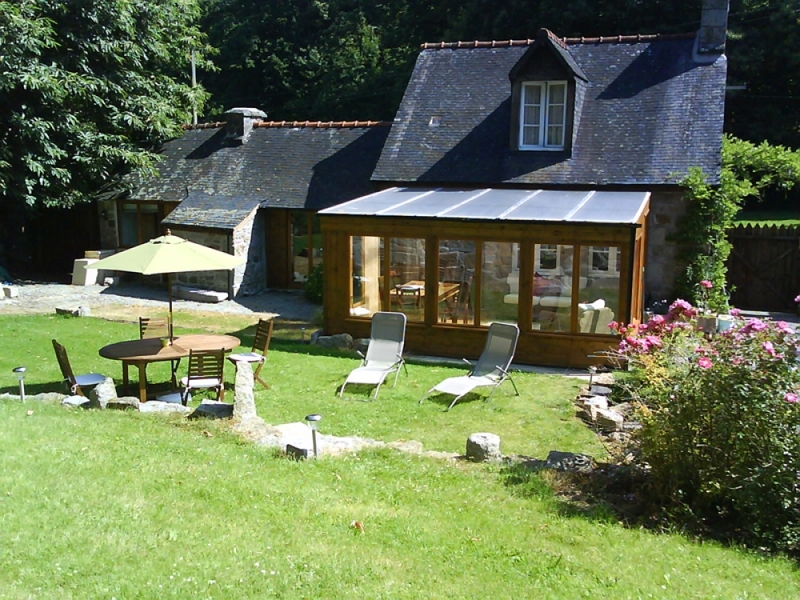 The houses occupy nearly half a hectare of garden and woodlands in the midst of the beautiful Brittany countryside. 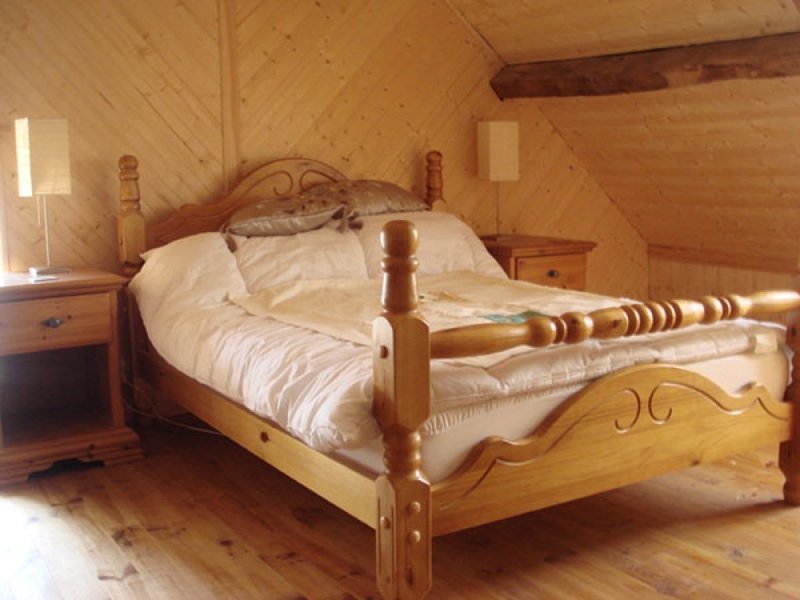 The main house has one first floor en suite double room with an additional single bed. 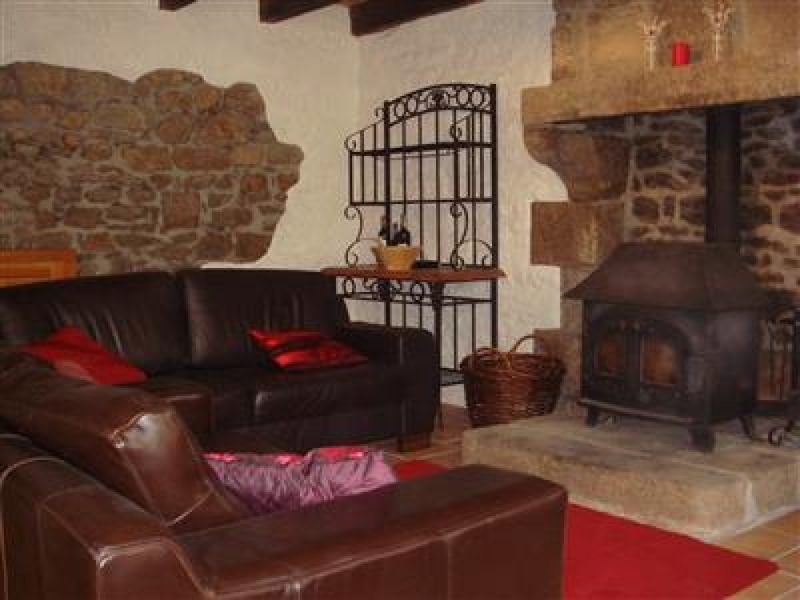 Downstairs a large lounge with log burner, digital TV, DVD player and stereo sound system. A fully equipped kitchen with gas cooker and fridge freezer. 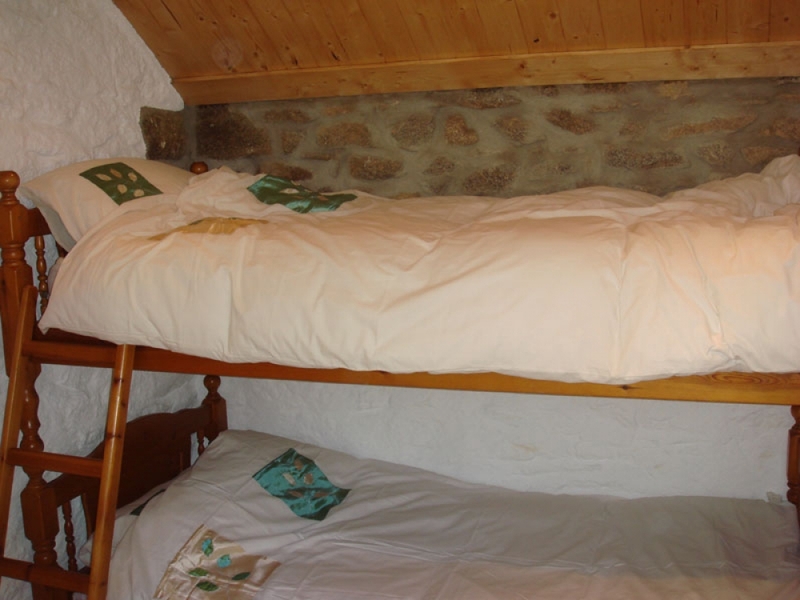 A second en suite double room with two single beds and a third small bedroom with bunk beds. At the front of the house is large conservatory with dining table settee and easy chairs.The garden is fully enclosed and is approximately 40m wide and 80m deep. The garden has an extensive wooded area which you are free to explore with several seating areas if you feel the need to escape. Perfect for children but they do need to be supervised in the woodland area. 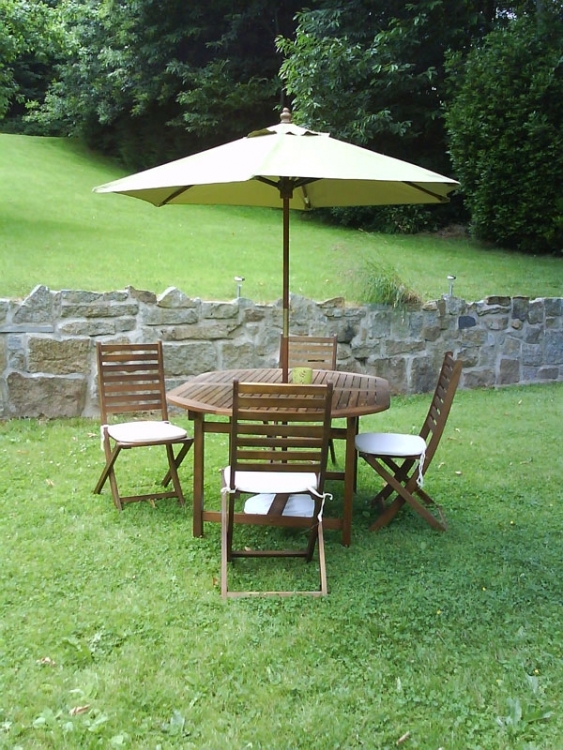 The cottage also has a fully equipped kitchen, wood burner, fridge freezer, tv and stereo. 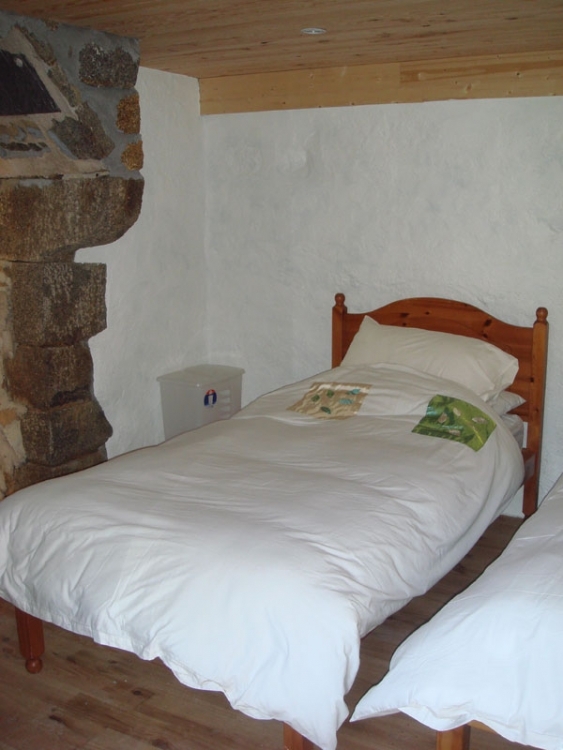 The annex to the cottage is an ensuite double room with an additional sofa bed. One first floor double room with room for an additional single bed or cot. Downstairs there is a lounge/dining room with log burner, digital TV, DVD player and stereo sound system. 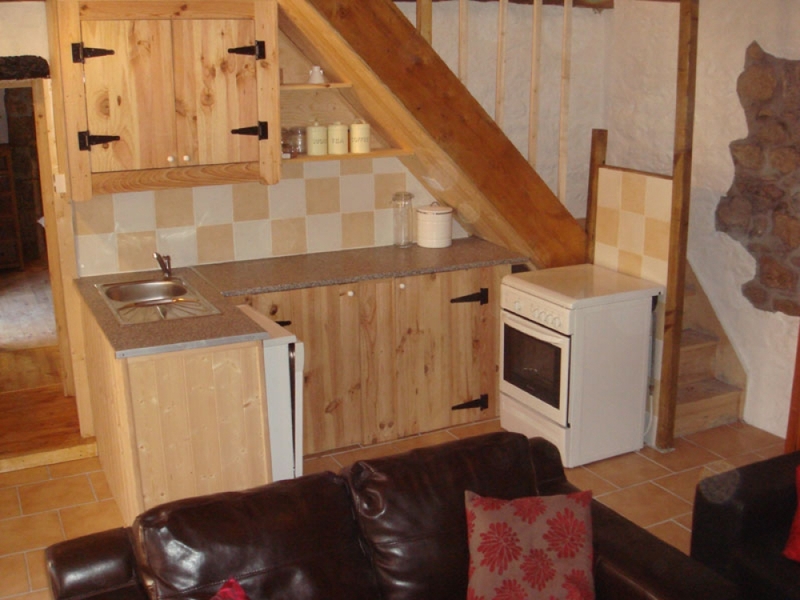 There is a bathroom with shower and a fully equipped kitchen with gas cooker and fridge freezer. 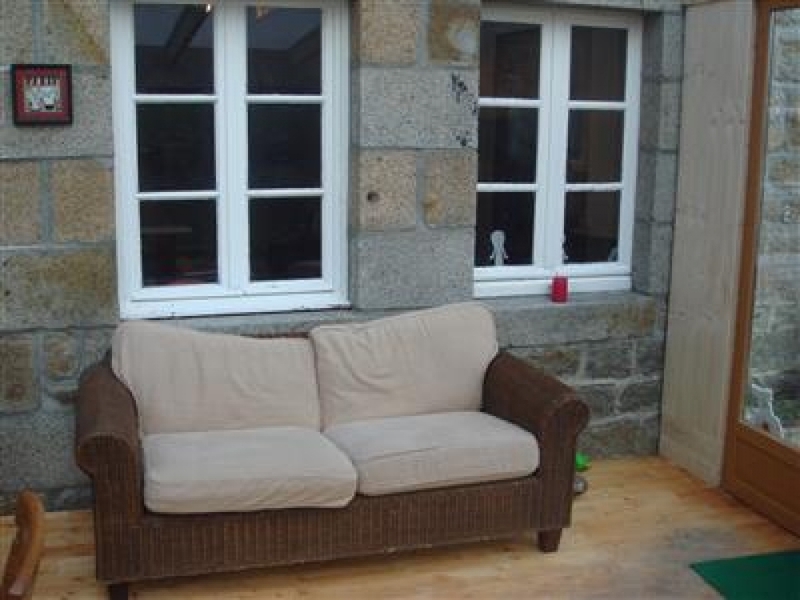 In an annex to the house there is another double bedroom with en suite shower and toilet. Heating for both houses is by a combination of a wood burning stove and electric heaters. In a separate outhouse there is a washing machine and tumble dryer for use by both houses. 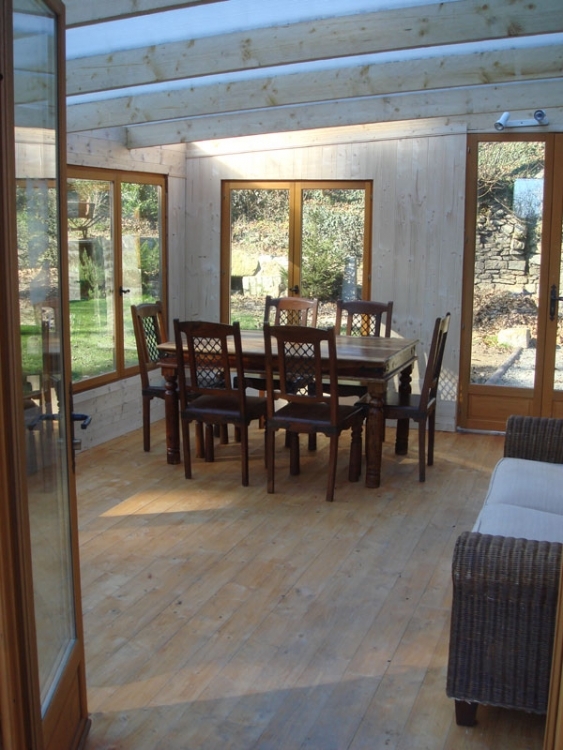 The houses are available to be let either together or separately and are ideal for two families. There are separate entrances and parking for at least 3 cars. The property is approximately 250M off the main road running through the village of Louvigne du Desert. 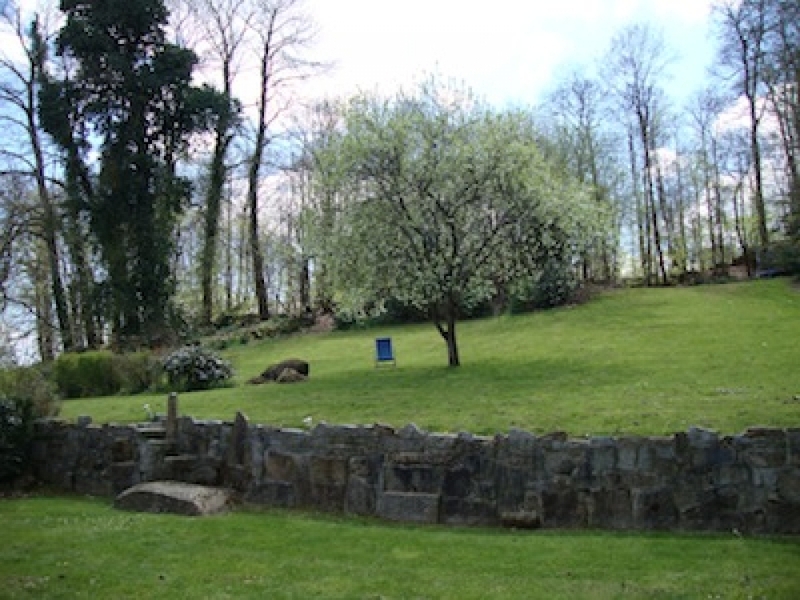 You will be only 5 mins walk from a Supermarket and 10 mins from the centre of the village. The village has a good selection of shops, several bars, two restaurants a bank and a church. On Fridays, there is a small market for fresh produce. Louvigne-du-Desert is situated in the Ille-et-Vilaine, Brittany region, in the north-west of France at 58 km from Rennes, the department capital. (General information: Louvigne-du-Desert is 258 km from Paris). 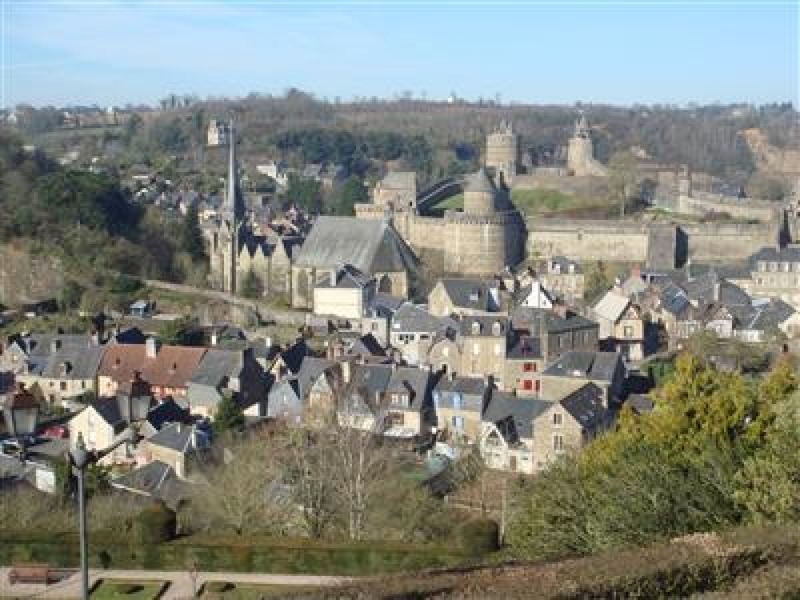 Popular places to visit nearby include Fougeres at 16 km and Saint-Brice-en-Cogles at 19 km. For more places to visit speak to the owners who will be happy to assist. 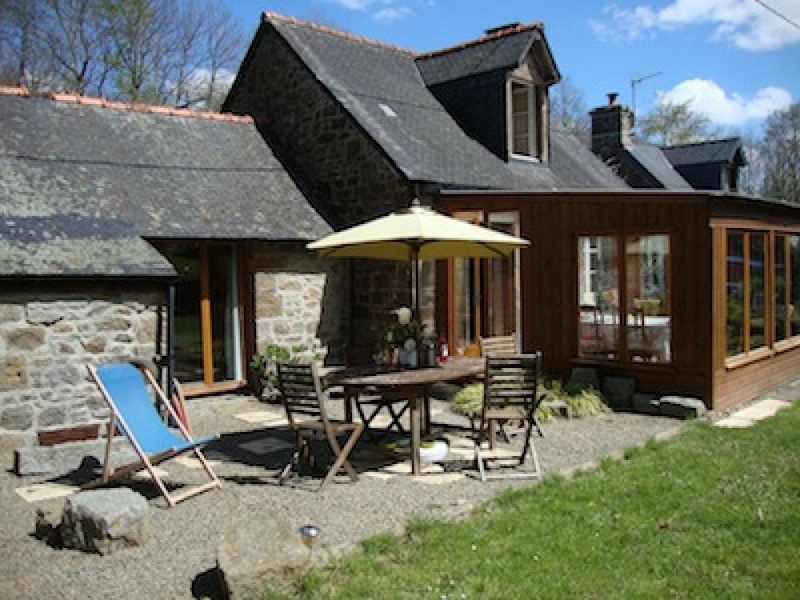 Nearby beaches: Carrolles near Avranches is 40-45 minutes away a wide long sandy beach. 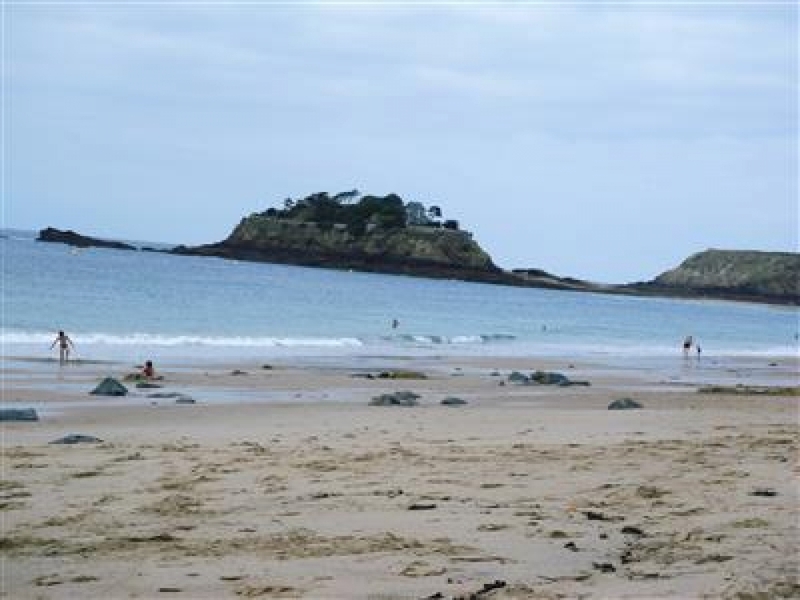 Around St Malo and Dinard there a plenty of small beaches and rocky coves. 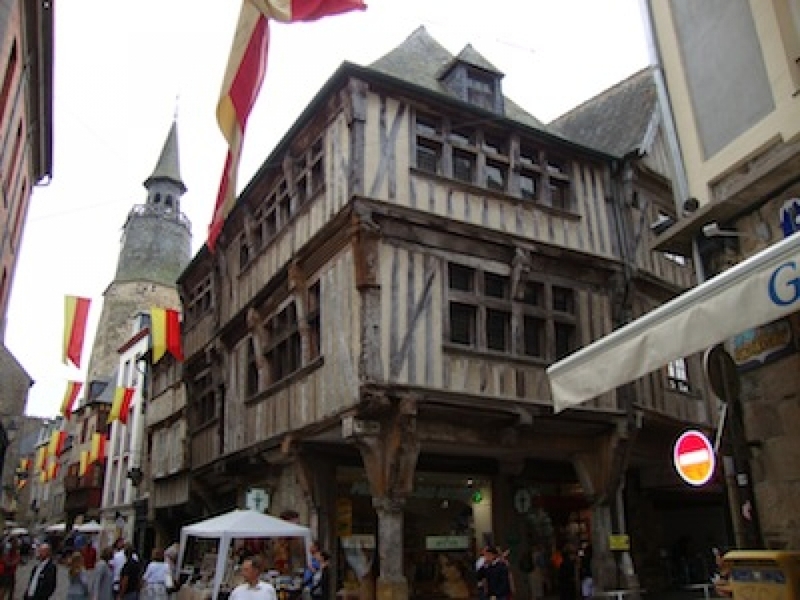 Local towns and Markets: Wednesday in St Hilaire du Harcoet (10 mins drive) a busy bustling market town with bars and restaurant as well as an indoor pool. 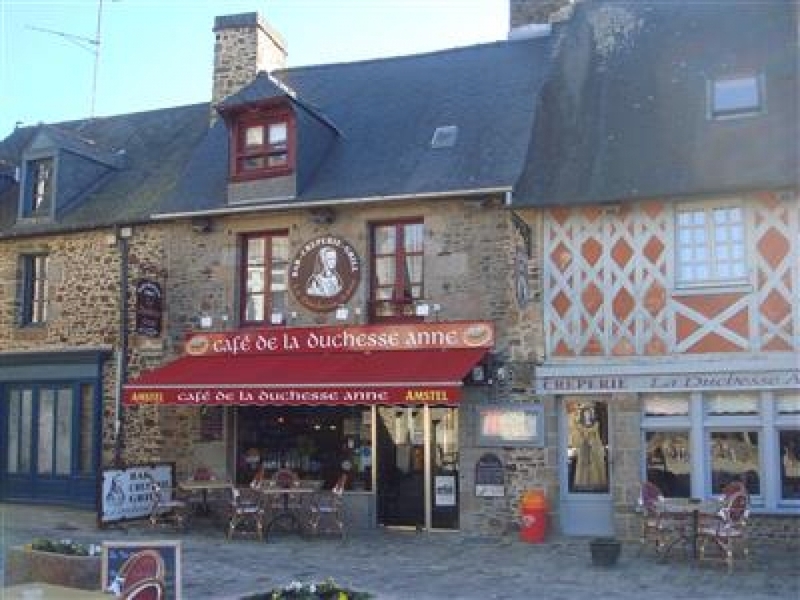 Saturday Fougeres (15 mins) Food wine and clothing in the market as well as large retail complex, a Chateau, Bars restaurants and a bowling alley. Mont St Michel 30 km always worth a visit. Normandy Beaches between 1 - 1.5 hours and other WWII sites even closer.